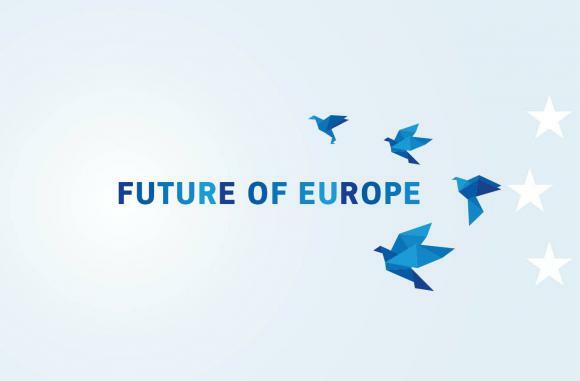 As Europe braces itself for the 60th anniversary of the EU (the treaties of Rome were signed in March 1957), at the beginning of March the European Commission has published a White Paper on the future of Europe. The White Paper sets out the main challenges and opportunities for Europe in the coming decade. The paper takes stock of the present situation of Europe: while proudly reminding that since the birth of the European Union Europe has been characterized by a lasting peace, the document also spells out the present challenges that the EU will have to tackle in order to guarantee a lasting prosperity to the European continent. Europe as a continent is experiencing an era of relative decline vis-à-vis other parts of the world. In 1900 one human in four was European, in 2050 only 4% of world population will live in Europe. Europe’s relative economic power is also forecast to wane, accounting for much less than 20% of the world’s GDP in 2030, down from around 22% today. As isolationist impulses around the world are gaining traction, the White Paper urges not to give in to them: “Europe’s prosperity and ability to uphold our values on the world stage will continue to depend on its openness and strong links with its partners. Yet, standing up for free and progressive trade and shaping globalisation so it benefits all will be a growing challenge.” The global financial crisis has left profound scars in the EU body, damaging the growth potential of EU countries and leaving several young people unemployed, especially in Mediterranean countries. While the EU needs to address the youth unemployment, it will also have to face an unprecedented aging of its population, which means European welfare systems will need to be upgraded. Partially connected to the aging is how to manage migration from poor African and Asian countries: The unprecedented massive inflow of migrants in the last few years has caused concern in segments of European societies. Terrorist attacks across Europe have further heightened the tension. Other challenges include the digitization of society: the challenges of increased use of technology and automation will affect all jobs and industries. Making the most of the new opportunities whilst mitigating any negative impact will require a massive investment in skills. Finally, the ongoing climate change calls for a de-carbonisation of society, which the EU has decided to embrace. Against this background, Brussels has proven an easy target for state level politicians who often blamed the EU institution for local deficiencies. The picture is therefore far from rosy; however, during its history the EU has proven that it is in difficult moments that the European project has reformed itself and advanced. The White Paper sets out five scenarios, each offering a glimpse into the potential state of the Union by 2025 depending on the choices Europe will make. Nothing but the Single Market: The EU27 is gradually re-centred on the single market as the 27 Member States are not able to find common ground on an increasing number of policy areas. Internal disagreements on the approach to international trade mean the EU struggles to conclude deals with its partners. Given the strong focus on reducing regulation at EU level, differences persist or increase in areas such as consumer, social and environmental standards: Some countries may decide to reduce standards and regulations on emissions. Free movement of workers and services is no longer guaranteed. Those Who Want More Do More: The EU27 proceeds as today but allows willing Member States to do more together in specific areas such as defence, internal security or social matters. A group of countries, including the euro area and possibly a few others, chooses to work much closer notably on taxation and social matters. Greater harmonisation of tax rules and rates reduces compliance costs and limits tax evasion. Agreed social standards provide certainty for business and contribute to improved working conditions. Industrial cooperation is strengthened. As regards trade, the EU 27 would pursue progressive trade agreements as in the first scenario. Doing Less More Efficiently: The EU27 steps up its work in fields such as innovation, trade, security, migration, the management of borders and defence. It develops new rules and enforcement tools to deepen the single market in key new areas. It focuses on excellence in R&D and invests in new EU-wide projects to support decarbonisation and digitisation. On the other hand, the EU27 stops acting or does less in domains where it is perceived as having more limited added value. This includes areas such as regional development, public health, or parts of employment and social policy not directly related to the functioning of the single market. Doing Much More Together: Member States decide to share more power, resources and decision-making across the board. Decisions are agreed faster at European level and rapidly enforced. EU Budget is significantly increased and covers more areas. The single market is strengthened through harmonisation of standards and stronger enforcement; trade exclusively dealt with at EU level. Finally, it is worth reminding that the White Paper is an intellectual, thought-provoking, exercise; whilst it is likely that reality will resemble one of the five scenarios set out here, the final outcome will actually look different to any of those. Link at the White paper.